Finally, after 20 singles over two days, Nebraska managed an extra-base hit. Not just an extra-base hit but a home run. And not just a home run, but a grand slam. 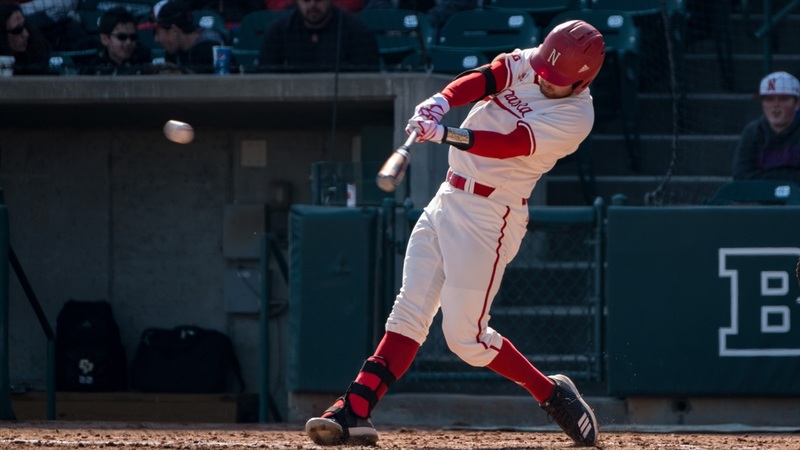 Luke Roskam hit the grand slam to complete a six-run bottom of the third in the Cornhuskers’ 7-6 victory against Northwestern State at Hawks Field on Sunday, as they once again responded to a series-opening loss – which they’ve now done in all three home series. They lost the first two games of a series at Wichita State. Nebraska had two more extra-base hits, doubles by Zac Luckey and Mojo Hagge, who scored what proved to be the winning run on Angelo Altavilla’s sacrifice fly with one out in the seventh. Hagge had advanced to third base on what would’ve been the second out if not for an error. Roskam was 2-for-3 on Sunday, after going 2-for-4 on Saturday, to raise his average to .282. The Huskers again showed resilience in the wake of Saturday’s 6-2 loss. There’s not much of a break. Nebraska plays at Oral Roberts on Tuesday and Wednesday before opening Big Ten play with three games against Minnesota at Hawks Field next weekend. Nebraska’s ability to respond is reflected in the fact that it hasn’t lost the final game of a series (excluding tournaments) since mid-April of 2016 at Michigan, when they were swept. Northwestern State also showed resilience on Sunday, responding to the 6-0 deficit with two runs in the fourth and three in the fifth against Husker starter Matt Warren. Despite the runs, Warren retained his stuff better than he has, according to Erstad. “It was sharper. He was a little more angry through those couple of innings,” Erstad said. Zack Engelken, Paul Tillotson and Jake Hohensee finished off the game. Tillotson struck out the side in his only inning, the eighth. “He’s still not back to full strength, but he’s made some pitches and he’s had some good outings, some up-and-down type of outings, but he’s a guy that likes the ball at the end of the game and did a nice job,” said Erstad. Tillotson sat out a medical redshirt last season. Hohensee allowed a one-out home run in the ninth and was credited with the save, his fourth.